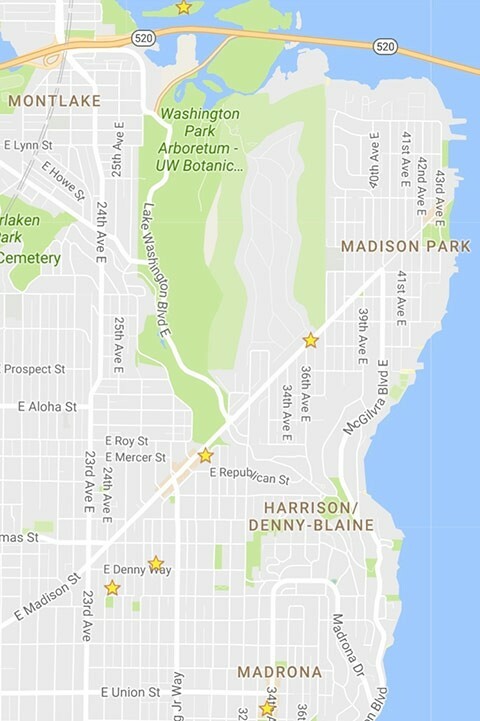 Seattle Parks and Recreation is proposing to reconstruct the existing Waterfront Trail that connects the Washington Park Arboretum across Foster and Marsh Islands to East Montlake Park. The upland section of the trail across Foster and Marsh Island becomes inundated when the lake level is raised. Floating segments of the trail are in disrepair and some sections are sinking. None of the existing trail meets current accessibility standards outlined in the Americans with Disabilities Act. The new trail will be constructed as a boardwalk structure, supported by pin piles on land and floating over Union Bay/Lake Washington and reconstructed in the same location as the existing trail. The City of Seattle is proposing to amend the Land Use Code and the Licensing Code in order to define and add land use and licensing standards for short-term rental uses and modify the definition and land use standards for bed and breakfast uses. City of Seattle staff will have maps and other information regarding proposed zoning changes to create more affordable housing. This will be focused on central-ish urban villages, but all are welcome to bring their questions. Land Use Application to allow a single-family residence with an attached garage. Appealing denial of variance to allow portion of principal structure to extend into required front yard. Zone: Single Family 7200, Arterial within 100 ft.
Land Use Application to subdivide one development site into three parcels of land. Project also includes unit lot subdivision of Parcel C into four unit lots. The construction of live-work units and residential dwelling units have been approved under project number 6526527. This subdivision is for the purpose of allowing sale or lease of the individual live-work and residential dwelling units. Development standards will be applied to the development site as a whole and not to each of the new parcels and unit lots. Zone: Neighborhood Commercial 1-30, Lowrise-2, Arterial within 100 ft.